Questions to Ask When Choosing A Health Care Provider. 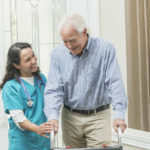 Selecting your home health care provider is an important decision. ParaMed would like to offer the following questions to help you choose with confidence. How long have they been serving your community? Does the provider have contacts to the community supports in your area? Can they help you access those community supports? Does the provider participate on local committees, take part in charitable events, and foster opportunities for its staff to network in the community? Is the provider accredited by Accreditation Canada? What are the hiring standards and practices? Are background and reference checks and criminal checks done prior to hiring? What is the orientation process for new staff? Do staff have 24-hour access to clinical advice and support? 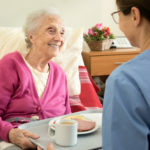 What are the qualifications of the individuals who provide the care and services you are interested in? Are staff encouraged to seek out yearly certification from and to belong to their professional colleges? Does the provider offer ongoing training and otherwise support the continuing education of their staff? Are staff encouraged to participate in research studies so that they are aware of the latest advances in professional techniques to delivering service? Does the provider offer literature explaining its services, eligibility requirements, fees and funding sources? Do they offer the services that you need, 24 hours a day, seven days a week? Are they willing to discuss accommodating special needs? Are you treated with respect when inquiring about available care and services, or booking an in-home assessment? Who can you contact if you have questions or concerns? How does the provider follow up on and resolve problems? How does the provider ensure the confidentiality of health information for you or your family? Can they accommodate your special language requirements? Are they sensitive to your cultural values and beliefs? Do registered professional staff conduct the in-home assessment? Will you, your doctor and your family be consulted when developing the Care Plan? How does the provider tailor the Care Plan to the needs and preferences of you and your family? How is the Care Plan communicated to you and your family? How are changes to the Care Plan implemented and communicated to you and your family? 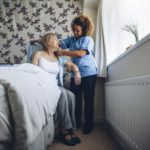 How many different individuals will provide care and services to you/your loved one? How does the provider ensure that the care and services provided are of exceptional quality? 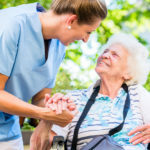 Are nurse supervisors assigned to monitor each Care Plan? Can you request changes to your Care Plan, preferred delivery times or caregiver whenever you feel it necessary? Are staff provided with expert clinical support 24 hours a day, seven days a week? What are the costs for each service? Are they in line with what other providers charge for the same service? How will you be billed? Will all costs and payment options associated with your Care Plan be consistently explained and outlined on your bill?